Back seats! Totally overrated, am I right? No one wants to sit there. Half the time, no one's even back there at all. 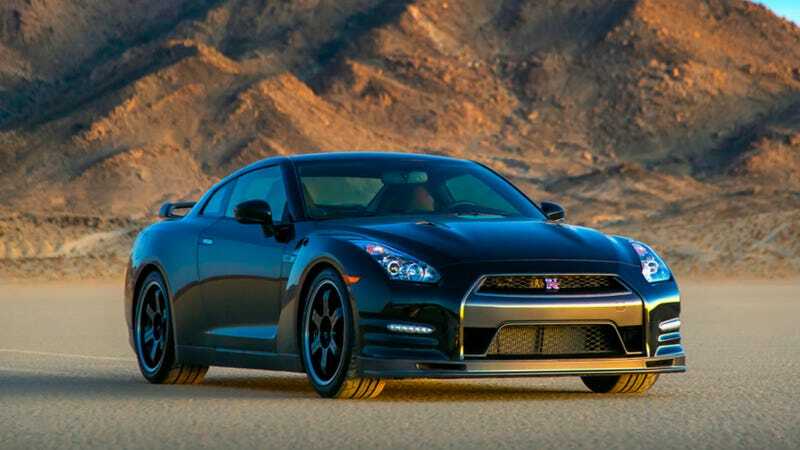 So if you have a balls-out performance car like the Nissan GT-R, why even have them at all? Perhaps recognizing that literally no one ever takes their kids to school in a GT-R, Nissan has unveiled the "Track Edition" GT-R at the Chicago Auto Show today. Power stays the same on the Track Edition at an extremely respectable 545 horsepower. But it loses its rear seats in favor of "a lightweight quilted cloth mat," according to Nissan. A quilted cloth mat! Doesn't that sound nice? In addition to the weight savings you get from losing the rear seat, there's also a specially tuned suspension, special brake cooling guides, a front spoiler with carbon fiber air ducts, a dry carbon fiber rear spoiler and RAYS wheels with Dunlop SP Sport Maxx GT run-flat tires. All that in exchange for a back seat? Sounds like a good deal to me.